Dressing in black dress and a red cardigan is a savvy fashion choice for your darling. 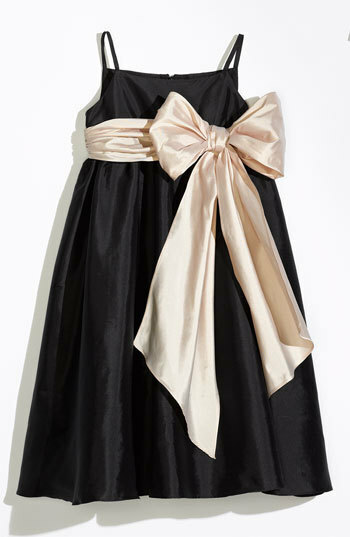 Dress your little girl in Us Angels girls sleeveless empire waist taffeta dress and her cute factor will be off the roof. The footwear choice here is pretty easy: round off this ensemble with dark green rain boots. Go for a classic style for your daughter with Us Angels girls sleeveless empire waist taffeta dress. Black boots are a nice choice to complete this look. 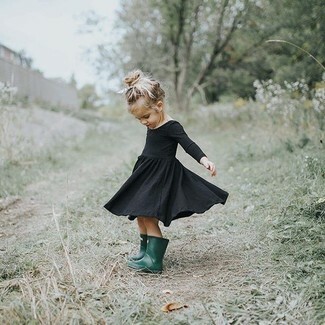 Suggest that your kid dress in Us Angels girls sleeveless empire waist taffeta dress from Nordstrom and her cute factor will be off the roof. 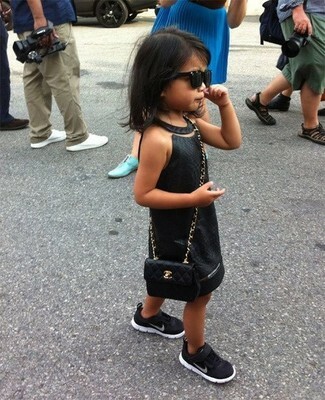 As for footwear your darling will love black sneakers for this style. Teach your darling how to look put-together and stylish by suggesting that she wear black dress. As far as footwear is concerned, suggest that your girl opt for a pair of black sneakers. Suggest that your daughter wear Us Angels girls sleeveless empire waist taffeta dress for an elegant, fashionable look. Tan boots are a nice choice to finish off this outfit. 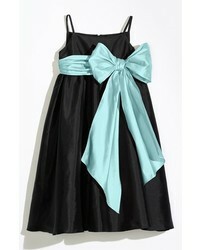 Teach your child to take pride in her appearance by suggesting that she go for black dress. As far as footwear is concerned, let your child grab a pair of grey rain boots. 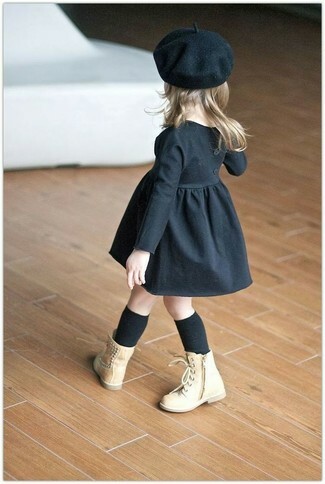 Suggest that your little angel opt for black dress and a blue denim jacket for a cool, fashionable look. 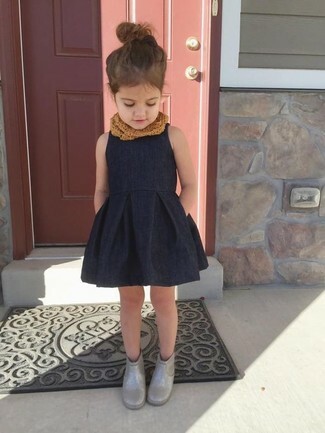 Suggest that your little one choose black dress and her cute factor will be off the roof. Finish off this look with brown rain boots.